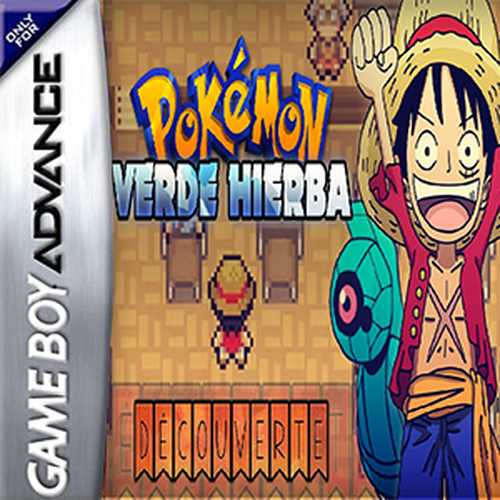 Pokemon Verde Hierba is a fire red Hack Remaked By Sayer301 ,Luffy turns 18 today, his brother Ace showed signs of life for the last time before facing the league. Luffy, tired of waiting, decides to go in search of his brother and try new experiences outside their village. Before leaving, he meets his neighbor Eddie, who in search of new crops has also decided to leave adventures. During his adventures, Luffy meet Logan, who will become from the first moment his rival. 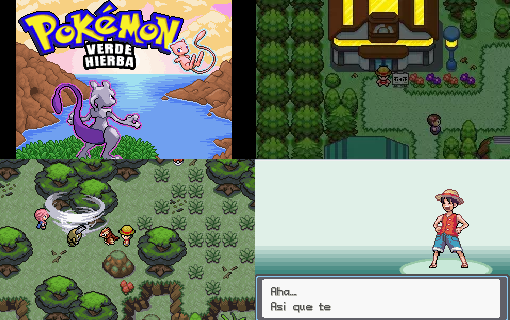 Although the main goal is to find his brother, multiple events will make our goal change several times throughout the game.During his quest, our hero discover the origin of pokémon, as they came to our world and as finished sympathizing with humans through War Diary, a mysterious old book that tells the history of the world over the past 1100 years.